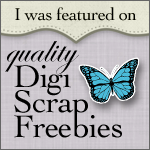 Specializing in digital scrapbooking kits, digital stamps and digital cutting files, Paper Garden Projects provides classic designs with plenty of original hand drawn elements. My former career was as a chemical and environmental engineer for the DuPont company. I retired from engineering after I had my twins, but I still have a love for technical details which I apply to my designs. I have a passion for combining technology with traditional crafting materials to create hybrid projects – the very best of both worlds. I love creating original designs and patterns in Adobe Illustrator and cutting designs with my Silhouette digital die cutter. Almost all of my digital scrapbooking kits also contain digital cutting files, making them perfect for creating hybrid projects. I live in Pennsylvania with my husband, three daughters and large white dog. I am inspired by my family, my garden and my fellow crafters. When not designing I can be found puttering around my garden, doodling, reading, card making or starting yet another craft project with my kids.